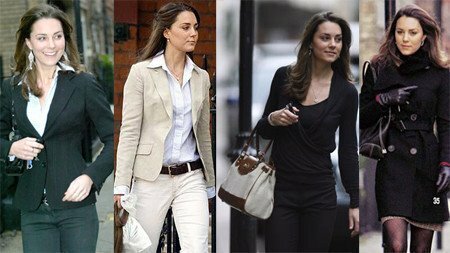 Kate Middleton and her Mulberry bag. The new queen (or should that be “princess”) of British style has chosen to trumpet the British fashion industry by wearing one of the most iconic British fashion brands in the world. Kate Middleton on her recent trip to Canada and the U.S.A. carried a Mulberry Polly Push Lock Tote bag. The new Duchess of Cambridge is all too aware that the world’s press are scrutinising her every move and choice of clothes and accessories and what better way to respond to this daunting challenge than by being a sartorial ambassador for the best of British fashion. Although Mulberry weren’t available to comment on Kate’s choice of handbag there can be no doubt that this will probably help to elevate the Mulberry bag to classic status !